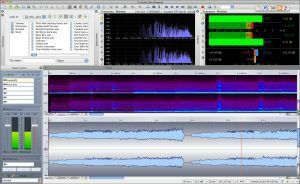 WaveLab 7, Digital Audio Editor from Steinberg in the Wavelab series. Steinberg announced a 50% discount on WaveLab 7 and WaveLab Elements 7 as crossgrade offer for BIAS Peak customers. This crossgrade offer is effective as from June 29, 2012, until October 31, 2012. Eligible for this offer are users of BIAS Peak Studio XT 7, BIAS Peak Pro XT 6, BIAS Peak Studio 7, BIAS Peak Pro 6, BIAS Peak Studio LE 7 and BIAS Peak LE 6. This offer is available through the Steinberg website and at official Steinberg dealers. 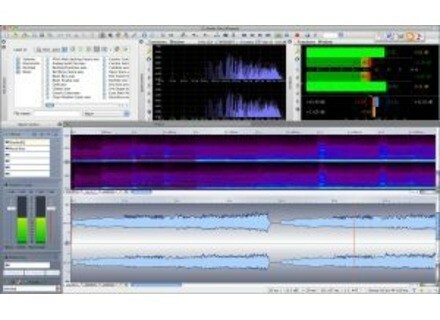 Crossgrades to WaveLab 7 are EUR 299 including German VAT. In the United Kingdom, crossgrades to WaveLab 7 are GBP 253 including British VAT. Crossgrades to WaveLab Elements 7 are EUR 49.99 including German VAT. In the United Kingdom, crossgrades to WaveLab Elements 7 are GBP 42.34 including British VAT. Makemusic!Finale 2012b MakeMusic has updated Finale 2012 to 2012b, a free, downloadable update for Mac OS X and Windows. Variety Of Sound Density mkIII Variety Of Sound has announced the release of Density mkIII, an update to the freeware Windows VST compressor effect plug-in.